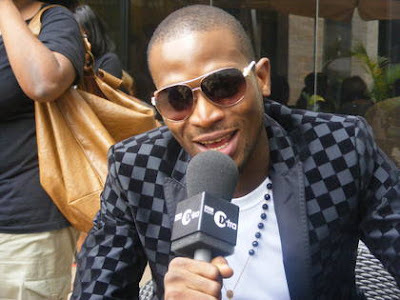 Versatile Scoop: D'Banj: I own Mo'hits and DonJazzy is my Artist! D'Banj: I own Mo'hits and DonJazzy is my Artist! D'Banj was recently interview by Ebony magazine, where the entertainer claimed he owns the household brand, Mo'hits. He said "Coming from Africa I’m my own manager, I have my own label called Mo’ Hits with my artists Dr. Sid, Wande Coal, Don Jazzy, D’Prince and K-Switch. I own Mo’ Hits and we’ve won numerous awards by the grace of God." D'banj tells Ebony Magazine. However D'Banj's manager, Bankuli has addressed this issue earlier today - Find the update below. On Sunday (Feb. 19), fans from as far away as Maryland packed into New York City’s Irving Plaza to see D’banj, Nigeria’s biggest Afrobeat star in concert. The self-proclaimed “Kokomaster” hit the stage to screams and even fainting, as one woman sunk to the floor after D’banj touched her hand. Running through his three albums No Long Thing, Rundown Funk U Up and The Entertainer including his international hit “Oliver Twist,” the MC born Dapo Daniel Oyebanjo commanded the stage with waist wines, glittering outfits and jokes about his “Koko,” also known as his manhood. Update - D'banj's manager, Bankuli has insisted that D'banj never had such conversation with Ebony magazine during the interview he did with them. He said they are in touch with the editor of Ebony magazine on this issue and a corrected rejoinder will be published ASAP. He concluded with the statement "Mohits Records is co-owned by Don Jazzy and D'banj"